I take Halloween very seriously. Probably too seriously but I can thank my mom for that for always throwing me Halloween parties for my birthday growing up. 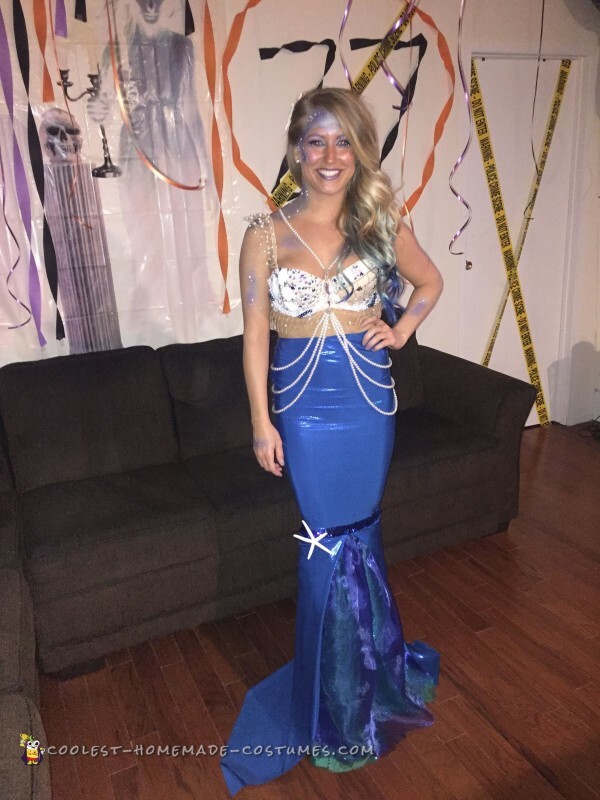 For the past few years I’ve always wanted to be a mermaid for Halloween but procrastinated each year because I knew it would be a lot of time, money & work. 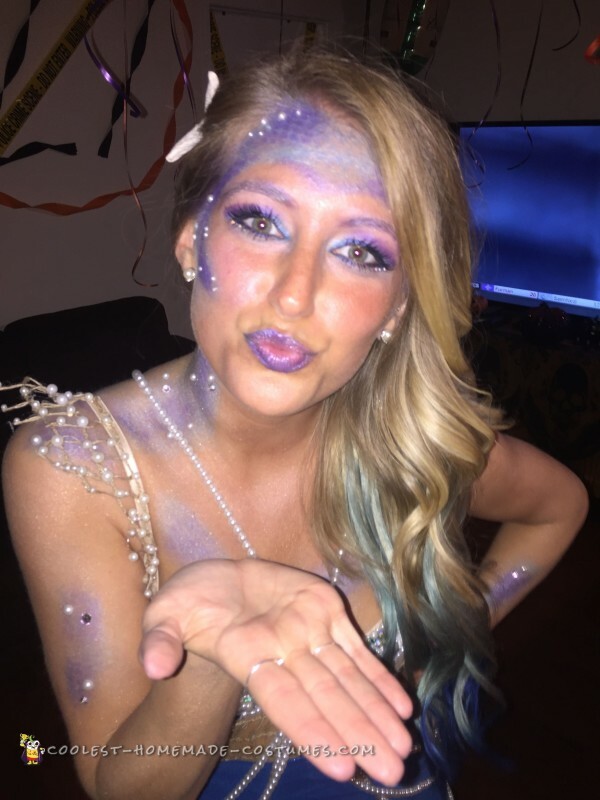 This year I had a Halloween/Birthday party for my 27th & knew this was the year. I’m great with a hot-glue gun but sewing is not my forte. You may think hot-gluing tiny pearls one by one onto my top the hardest part, but it was definitely the skirt. I wanted to include my Grandma because she is one of the greatest seamstresses I know so I drove down the shore twice to have her help sew me the base of the bottom, a pencil skirt. It was really great to spend time with her and have her help me. After she was done, I said I could finish the rest. When I got home, I had to add tool & trim it & must of put in on at least fifty times and bent over to cut it while looking in a mirror to get the length just right. After a while I started laughing every time I had to try in on. It was really ridiculous but fun. The makeup was also a ton of fun as well. I saw girls used fishnet stockings to create a scale look so that’s exactly what I did all over my face & body. Added a few pearls & rhinestones and voila! I purchased hair extensions & blue dye to create blue mermaid hair as well. Finally when I was totally finished with my costume and had the party, everyone was amazed. The reactions I got were really great. I got reactions such as, “I can’t believe you made that” and calling me the “Queen of Halloween” I felt so fulfilled knowing that my vision had crossed over into reality.